August is the month of folklore. This is when we celebrate the rites, traditions, popular wisdom, dances, and festivities of different cultures around the globe. The date is celebrated worldwide on August 22nd. 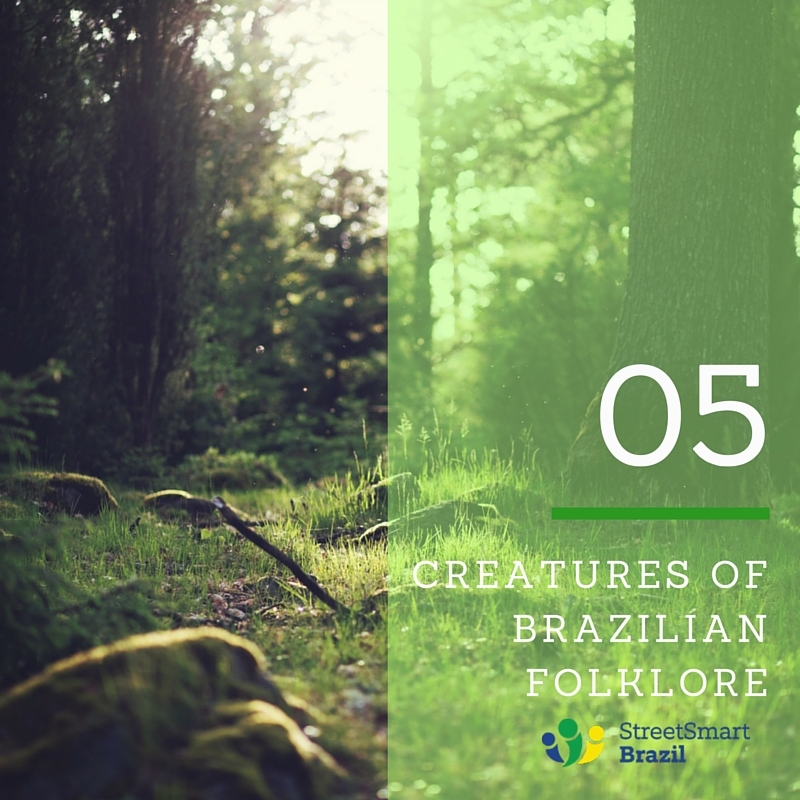 Inspired by the stories I heard when I was a kid in Brazil, I’d like to introduce you to 5 creatures of Brazilian folklore. Beware! They like to appear by surprise from time to time to haunt us. One of my favorite characters from Brazilian folklore is the Curupira, a creature with bright red/orange hair that resembles a man or a dwarf. Curupira has a very unique trait: his feet are turned backwards. According to the legend, Curupira is unpredictable and can occasionally seem wicked. He lives in the forests of Brazil and protects nature in his own way. For example, Curupira will prey on poachers and hunters. He will also protect animals who are taking care of their offspring. Curupira uses its backward feet to create footprints that confuse hunters and travelers by leading them to its starting point. This folkloric character is a headless mule that spits fire from its neck. The Mula sem Cabeça is one of the most popular tales of Brazilian Folklore. According to the legend, the mule runs through the woods and fields, scaring people and animals. One way to identify this creature is by the sound of a loud whinny accompanied by a loud groan. There are several versions of the headless mule. One of my favorites is that a beautiful woman was dating a priest. As punishment for the sin, she turns into this monstrous being on Thursday nights (especially in the full moon). According to the legend, a pink dolphin comes out of the Amazon rivers at night during Festas Juninas (June Festivities). With its special power, it becomes a handsome, tall, strong, young man dressed in white clothes. He wears a white hat to cover his face and disguise his big nose. He is a very charming and seductive man who goes to parties in search of beautiful, unaccompanied, young women. He invites the ladies for a walk around the river bank where they make love and he usually gets them pregnant. The next morning, he turns into a pink dolphin again. Also known as the “mother of the waters”, Iara is a beautiful, brunette mermaid with black hair and brown eyes. She attracts men with her beautiful and irresistible singing, which echoes through the waters and forests. The victim follows Iara to the bottom of a river, a place from where he never returns. The few who can escape unfortunately go crazy due to the mermaid’s spells. In this case, says the legend, only a ritual performed by a shaman can free the man from the spell. Saci Pererê is a very playful character in Brazilian mythology. He has only one leg, wears a red cap, and walks around with a pipe in his mouth. Initially, Saci was portrayed as a demonic Indian boy with two legs, dark color, and a tail. With the influence of African mythology, Saci turned into a black boy who lost his leg fighting capoeira, inherited the pito, a kind of pipe, and won the red cap from European mythology. Saci is pure mischief! He is very playful and likes to make fun of animals and people. He loves to play pranks such as distracting people who are cooking so that the food burns on the stove. As a kid I was crazy about a TV show called Sítio do Picapau Amarelo. The house cook would bake amazing pies and put them by the kitchen window to cool. Then Saci would come and steal the pie. He also likes to hide kitchen utensils, bang doors, and let the farm animals loose. October 31 is Saci Day! Enjoy Brazilian movies and documentaries to the most by improving your Portuguese. Street Smart Brazil is a pioneer on private Portuguese lessons via Skype. 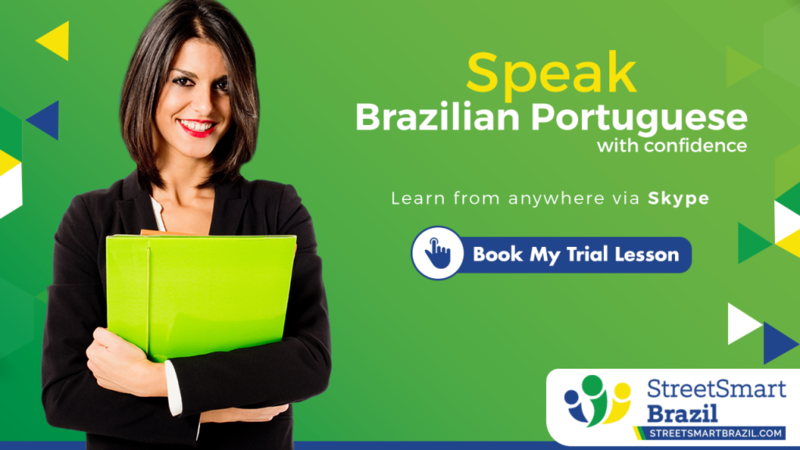 Book a Trial Lesson and speak Portuguese that you are proud of. I am learning english now. I’m brazilian from Fortaleza. I really like of you blogger is amazing! thank you for your beautiful words about my country. I hope came back here more . Really, really great new “eye opener” information for me on Brazilian culture! Thank you so much! Now I have even more things to discuss with my great Brazilian friends. I really have learned so much from you Luciana! It has greatly improved my overall perception of the Brazilian Portuguese language and people. In a very, very positive way, I might add! Faz tanto tempo que eu não morava no Brazil e assim o meu Portuguese, sem duvida possa estar enferugada. Mas escrevo um blog acerca o meu tempo la. Gostaria mentioncar ou usar um pouco destas histórias focloricas. Por favor? Estarei muito agradecido. Oi, Roy! Claro que pode mencionar o meu blog no seu blog! Obrigada por compartilhar o link. Vou lá!